Perfect Entry Level Turn-Key Rental Investment in the Resort! Great Sunriver income producer in a great location with easy access to the Aquatics Center and Fort Rock Park and main bike/walking path on Beaver Drive! 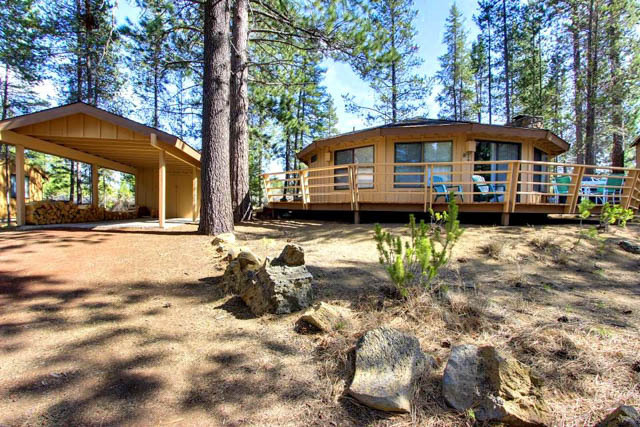 Features: open-great room floor plan w/beautiful stone fireplace, kitchen with breakfast bar, utility room with washer/dryer, big carport with locked storage room, wrap around deck, newer 40yr roof and private backyard with hot tub and mature Ponderosa Pine Trees!